My first portrait quilt pattern designed in 2011, originally titled "Angelina" then changed to "Whimsical Selfie Quilt" for marketing sake, got a new version. I continue to add different hairstyles, hats and holidays. 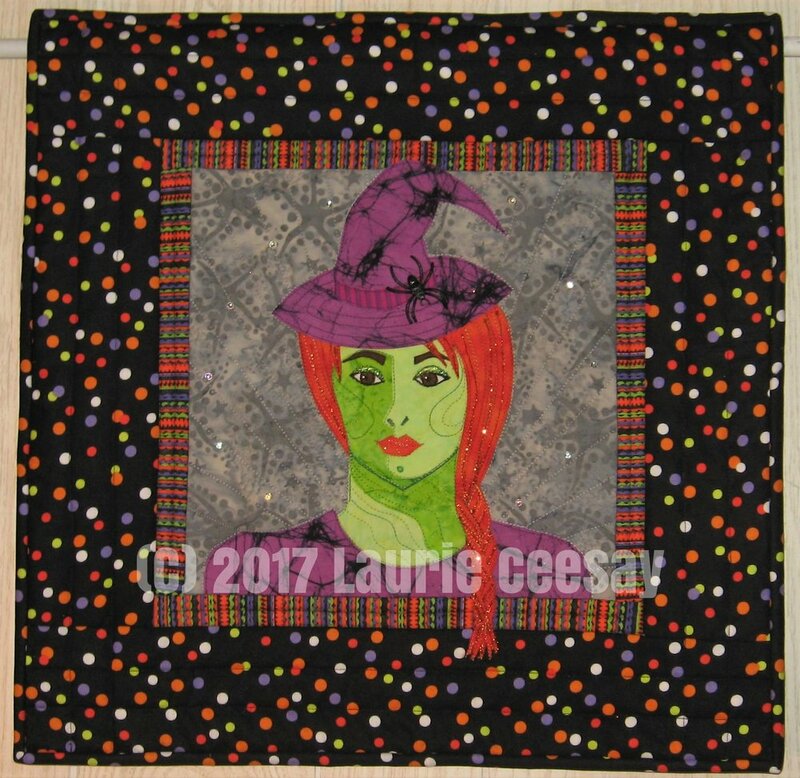 Since I am a huge Halloween and witch lover it seemed normal to add a witch selfie quilt. I made the top a year ago and I am not a UFO fan so I thought I needed to complete this wall hanging. I have a love of collecting Halloween fabrics and digging into my fabric stash to make this was a breeze. I selected the one sided long hair braid for the hair and added the basic dress pattern instead of the usual shoulder straps-its colder in the fall so she needed more clothes! 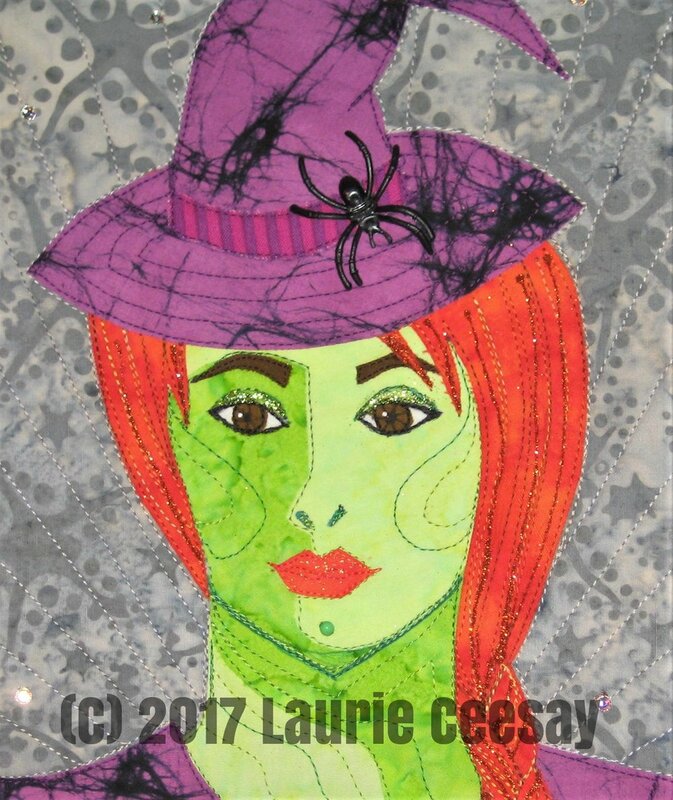 For embellishments I used a green glitter nail polish on the eye lids, some orange glitter poster paint on the lips, a green bead for a wart on the chin, orange loose glitter on the hair, a black plastic spider on the hat band and a few slivery rhinestones for the background. I searched 2 to 3 times in my embellishment stash for a non-shiny purple trim for the dress neckline but I had nothing. I will still keep looking and add it later. Happy Halloween!